“You won’t see any beauty there. It is a hard and dark life... The murderers didn’t only take her life, they destroyed the whole family… They shouldn't have to live in a world full of tears." 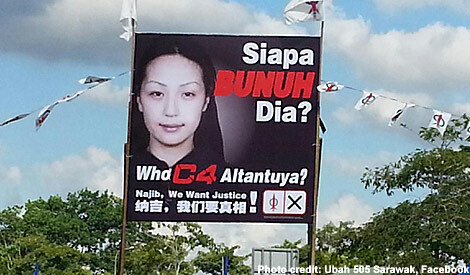 INTERVIEW | For many, the murder of Altantuya Shaariibuu was the turning point. For them, a line had been crossed. They could put up with the systemic discrimination, the corruption and the religious interference. They could justify all this for the need for stability and racial harmony. However, this murder, the subsequent cover-ups, the mendacity of the government, the collusion of the security apparatus, but most of all, the political personalities linked to this butchery, was a realisation that any semblance of morality was drained from the state. For me, besides the numerous deaths in custody, the death of Teoh Beng Hock was my turning point. Any book like mine will have its supporters and detractors. Controversy is inevitable where the full powers of the state are being marshalled to suppress the truth. There are several crimes which all are, of course, related.